The Sinclar Group, owner of Lakeland Mills, has announced that they will rebuild their mill in Prince George, B.C. and have it operating in 2014; a fire and explosion destroyed the mill in 2012. EACOM Timber is ramping up its operations in Ontario, starting with a major multi-million dollar investment in its Nairn Centre sawmill, near Sudbury. Working with the International Wood Markets Group, Logging and Sawmilling’s annual listing of the Top Lumber Producers in Canada. Veteran logger Clayton Mattson brings a wide variety of skills to his work harvesting wood on steep slopes in southeastern B.C. for Canfor’s newly-reopened Radium sawmill. An innovative Sawfiling Peer Group at Tolko Industries is helping to bridge the gap between sawfilers, mill management and company divisions. Nova Scotia’s Ledwidge Lumber has weathered elements of the Perfect Storm—including a hurricane and a blizzard—in years past. That’s behind them, though, and the long-established lumber producer is now well-prepared for the recovery, with a modern sawmill equipment set-up. Harvesting activities are ramping up for Vancouver Island logger Matt Roberts—and as a result, he’s invested in some new Link-Belt iron to do log processing, log loading and roadbuilding on the rugged B.C. Coast. Tamarack Timber Services operates in the demanding oil patch salvage logging business in Alberta which—with drilling rigs costing out at $100,000 a day—requires logging equipment to perform within very defined production windows. custom and specialty lumber products, with the company making sales to customers from Nanaimo to New Zealand. The annual survey of the top Canadian lumber producers by International WOOD MARKETS Group reveals production increases for many companies—but not all—and one notable corporate sawmill transaction. 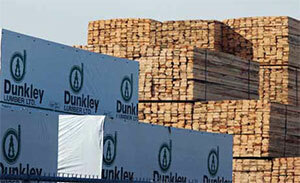 There is also a new lumber producer on top: Canfor. Total North American softwood lumber production was up by a cautious 3.6 per cent, representing an increase from 49.3 billion board feet in 2011 to 51.1 billion board feet in 2012. Recovering housing markets in the U.S., along with stable to growing demand in China and Japan, were major market drivers for North American lumber. However, total Canadian softwood lumber production barely increased, moving from 22.5 billion board feet in 2011 to 22.6 billion board feet in 2012 (up 0.4 per cent). Conversely, total U.S. production increased more rapidly, rising from 26.8 billion board feet in 2011 to 28.5 billion board feet in 2012 (up 6.3 per cent). In 2012, the top 10 Canadian producers shipped 15.3 billion board feet, an increase of 7.2 per cent over 2011’s total of 14.2 billion board feet. This represented a substantial jump in these companies’ share of Canada’s total lumber production—it grew from 63 per cent in 2011 to 68 per cent in 2012. The five largest Canadian producers were Canfor, West Fraser, Tolko, Resolute and Western Forest Products. With 11.6 billion board feet of production between them, these five companies shared 52 per cent of total Canadian production. With its purchase of two B.C. 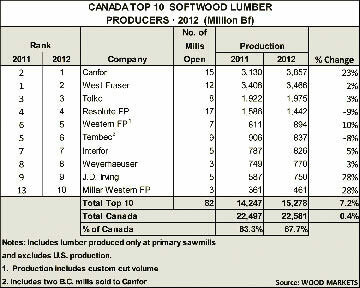 mills from Tembec in March 2012, Canfor pulled ahead of West Fraser for top spot in Canada at 3.86 billion board feet. 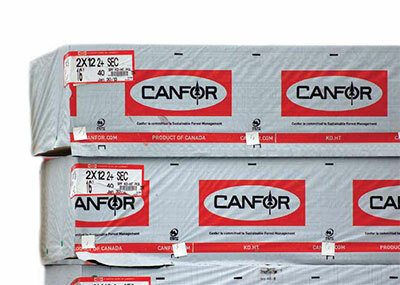 With 15 operating sawmills, Canfor reclaimed its number-one rank in Canada for the first time since 2007. With all of its Canadian mills having run near full capacity since 2010, West Fraser posted a small gain of two per cent to reach 3.47 billion board feet. In addition to Canfor, several other companies made significant production increases in 2012. Privately owned, mid-sized producers J.D. Irving (New Brunswick) and Millar Western (Alberta) both topped their 2011 volume by 28 per cent in 2012. Conifex (B.C.) grew by 17 per cent, and, although its overall production declined by 8 per cent due to the sale of its western sawmills, Tembec’s eastern production grew by 16 per cent. A total of six catastrophic Canadian sawmill fires made the news in 2012: three of these affected large producers of dimension lumber (Hampton’s mill in Burns Lake, B.C. ; EACOM’s mill in Timmins, Ontario; and Lakeland’s mill in Prince George, B.C.) and three destroyed smaller specialty mills (Waldrun Forest Products in Maple Ridge, B.C. ; Absolute Lumber in Abbotsford, B.C. ; and Cedar Creek Sawmill in North Dumfries, Ontario). EACOM’s production was down significantly (26 per cent) from 2011 with the loss of the Timmins mill; this decline moved it out of the “top 10” list for 2012. EACOM has announced that it will rebuild its mill with a mill 20 to 25 per cent larger, and plans to be up and running by the summer of 2013. Hampton is also planning to replace its mill, but the new mill’s capacity will be 30 to 40 per cent less than that of the original. Sinclar Group, the parent company of Lakeland Mills, has announced that it will rebuild the Lakeland Mills operation and have it operating in 2014 (see Lakeland Mills story on page 4). WOOD MARKETS expects there will be additional acquisitions over the next few years, as high lumber prices and stronger margins have restocked the corporate bank accounts of companies looking to grow (and hence also providing sales opportunities for those companies wishing to shed non-core assets). However, large companies “shopping” for mid-sized companies for acquisition are facing a decreasing pool of candidates in terms of selection. There are now only a handful of companies in the prime three to six-sawmill size range. Increasingly, companies may need to purchase only one or two mills at a time, or attempt the riskier option of a merger with a similarly sized company. Not surprisingly (given the strong gains in lumber prices in 2012), a large number of the companies surveyed indicated that they planned to increase their production in 2013. In addition to taking less downtime, companies are increasingly planning to add hours or shifts, and to reopen any curtailed mills. With export tariffs on Canadian softwood lumber destined for the U.S. expected to remain at zero for much of the foreseeable future, Canadian production is projected to accelerate somewhat in 2013, making up for its slower increase in 2012. 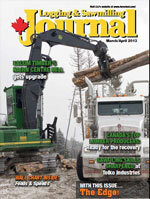 However, access to incremental timber supplies will continue to act as a constraint on sawmills in most of Canada. The lumber production landscape will certainly look different at the end of 2013, as rising prices are mainly responsible for a surge of announcements on lumber/panel mill start-ups or extra shifts. In both Canada and the U.S., the largest production increases will come from private companies, as they were the hardest hit by the recession and hence have a higher proportion of mills remaining to reopen. Soaring prices continue in Q1/2013, with North American dimension lumber and now studs surging, as well as J-grade and lamstock to Japan. In addition, there are accelerating premiums for a number of other products, including wide-dimension lumber, pine boards, and OSB and plywood. China also appears poised to announce new economic policies that may encourage increased spending. The entire supply chain continues to be under siege from a variety of short-term shortages, be it timber, loggers, mill workers, trucks, railcars, or access to capital. Looking ahead, it is going to take some time for supply to catch up with demand. WOOD MARKETS now believes this balance may not occur until around 2015. For this reason, strong prices are forecast to continue and this is a good sign for sawmills. This article was summarized from WOOD Markets Monthly International Report (March 2013) by Alice Palmer, Consultant, International WOOD MARKETS Group. 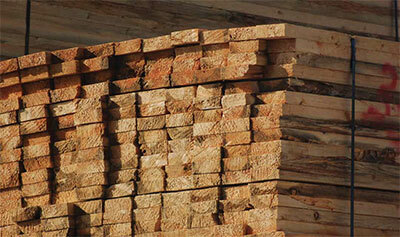 International WOOD MARKETS Group Inc. is Canada’s largest wood products consulting firm. Its consulting team has provided industry and market expertise in the solid wood products field to its clients since 1993. The company provides market research, new business development and business plan/strategy as well as other consultative services to wood product companies in North America and around the world. The firm also publishes a number of strategic industry multi-client reports including its landmark WOOD Markets Monthly International Report (since 1996) and monthly China Bulletin. Further information is available on www.woodmarkets.com.